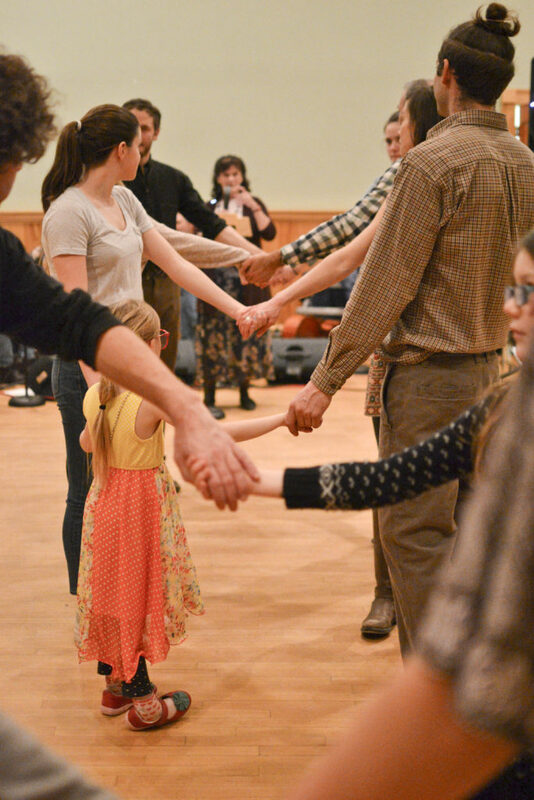 All dances taught – family friendly – just fun! 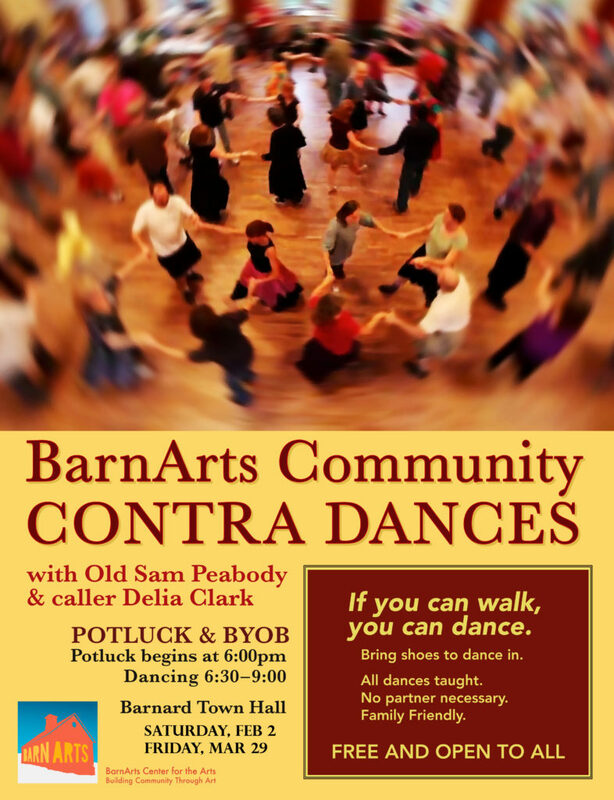 Partners mix and match with each new dance – everyone included! 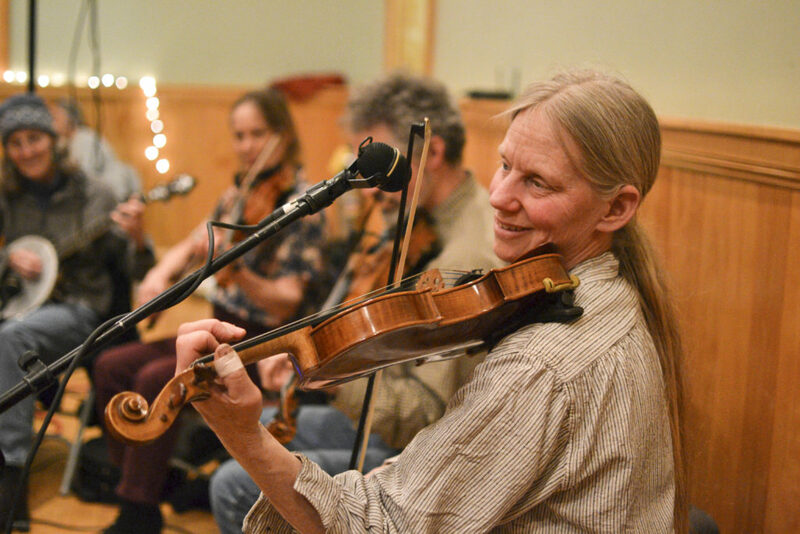 “Considered a social dance that one can attend without a partner, but is danced in pairs, contra dancing is danced in long lines of couples/pairs formed starting from the stage and down the dance hall. Throughout the course of a dance, couples progress up and down these lines, dancing with each other couple in the line. The dance is led by a caller who teaches the sequence of figures in the dance before the music starts. Callers describe the series of steps called “figures”, and in a single dance, a caller may include anywhere from 6–12 figures which are repeated as couples progress up and down the lines. Each time through the dance takes 64 beats, after which the pattern is repeated.